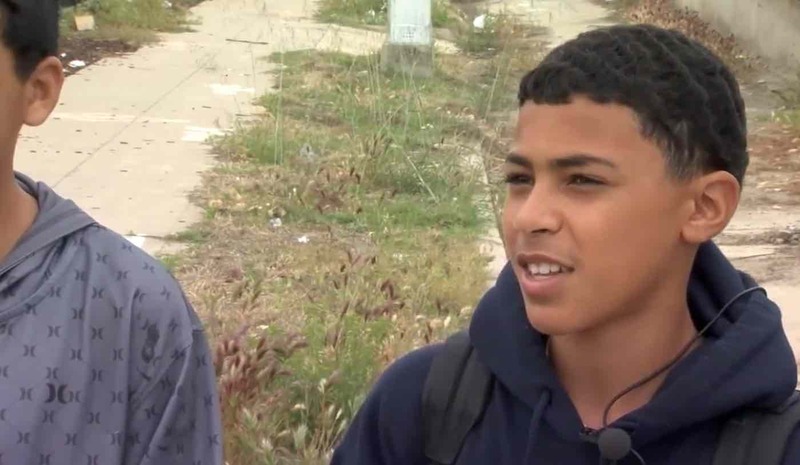 These middle school students are being hailed as heroes after they helped to talk a woman out of committing suicide last week. The 12 young heroes, all of whom are members of the boys volleyball team from Kepler Neighborhood School in Fresno, California, had been jogging through the streets for their training when they saw the woman climb over the edge of a bridge. Had she let go, she would have fallen 100 feet onto the train tracks below – but luckily, the boys took action. The team members ran to their coach Elliot Murray, yelling for him to call 911. When he saw the woman hanging from the bridge, he told the boys to run back and do everything in their power to keep her from jumping. “I immediately told the kids, ‘Do everything you can, chant, say ‘Stop, your life is worth it’ – and they just kept on chanting,” Murray told WPVI. Sure enough, the boys spent the next 10 minutes with the 47-year-old woman, yelling words of encouragement and urging her to climb up from the ledge. Upon hearing their compassionate chants, the woman finally crossed back over to safety just before police officers arrived on the scene. The woman was then assigned to a 72-hour mental health evaluation, and though her current circumstances and condition are unknown, Murray is positive that his team members were the reason why she felt compelled to step back from the ledge.